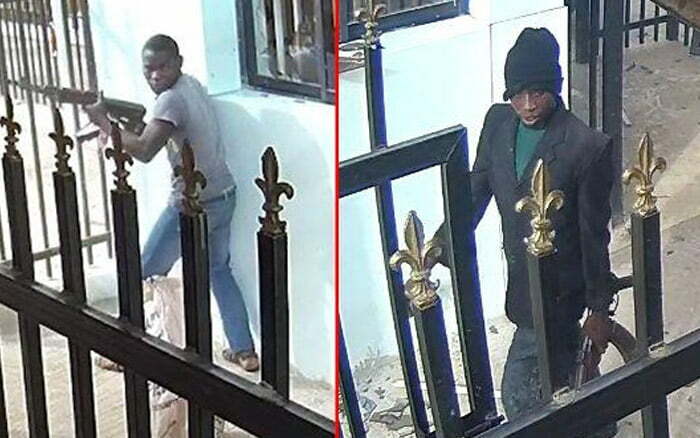 The Nigeria Police has dismissed speculations that the gang leaders of the Offa bank robbery, with alleged links to Senate President, Bukola Saraki and Governor Abdulfatah Ahmed of Kwara State, have been killed in custody. Although other suspects were paraded two weeks ago, nothing has been heard of their superiors – Micheal Adikwu, a dismissed policeman, and Kayode Opadokun. The two have not been allowed to speak publicly or paraded despite being in detention. DAILY POST recalls that Adikwu, in his confession, explained why he killed many people during the April 5, 2018 deadly operation. Adikwu told operatives of the Inspector-General of Police Intelligence Response Team (IRT) that he personally shot dead 20 persons, mostly policemen, in retaliation for his sack from the Force. Speaking to journalists, Ayoade Akinnibosun, one of the suspects paraded by the Force Public Relations Officer, Jimoh Moshood, confided that Adikwu was their leader used his police connection to secure the arms and ammunition they used in the attack. But reacting, Moshood stated that the suspected ring leaders were in police custody and helping with the investigation. Moshood challenged anyone that said the two suspects had been killed extra-judicially should produce their bodies. “Police don’t kill people, they protect people,” he said. The spokesman also confirmed that Saraki’s written response to the allegations against him had been received by the investigators. “I was told by the investigators that he has made a written response to the allegations by the suspects,” Moshood said, adding that he could not say more in order not to jeopardise ongoing investigation.